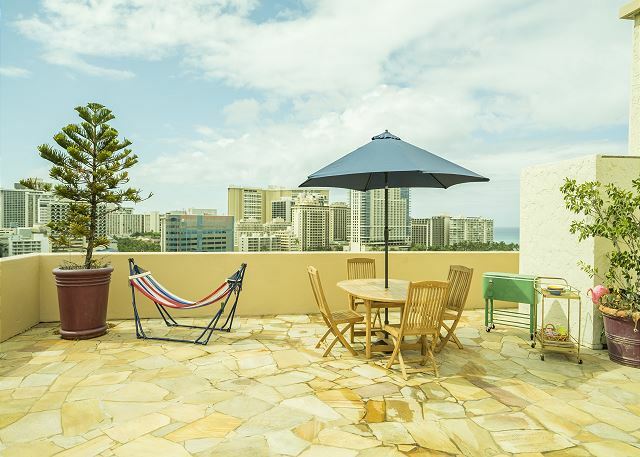 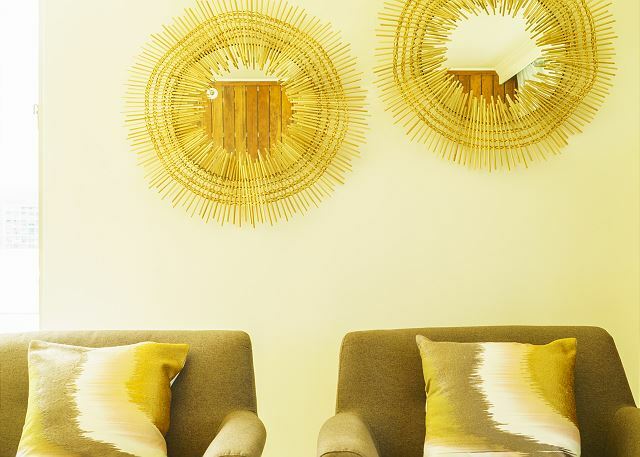 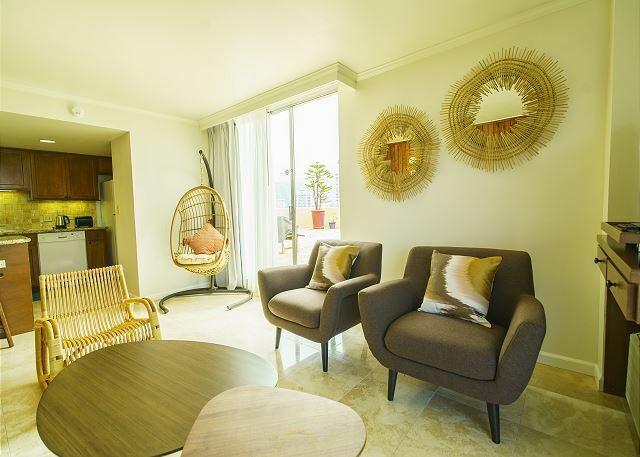 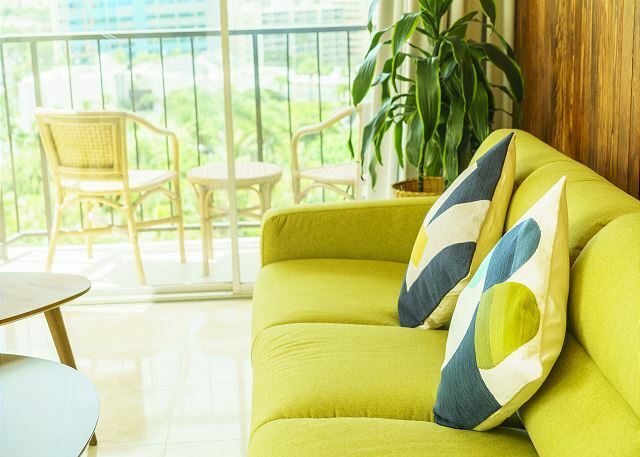 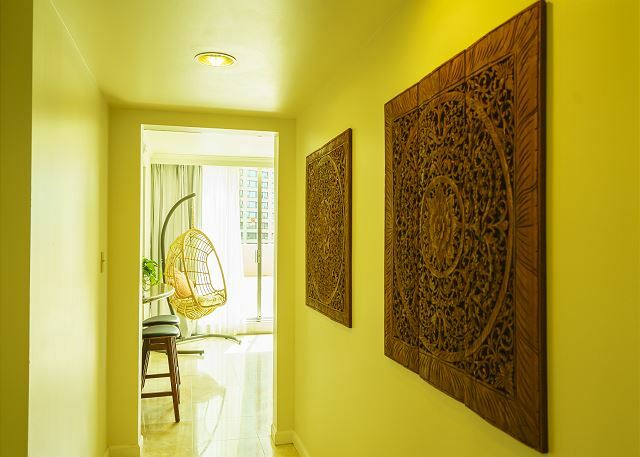 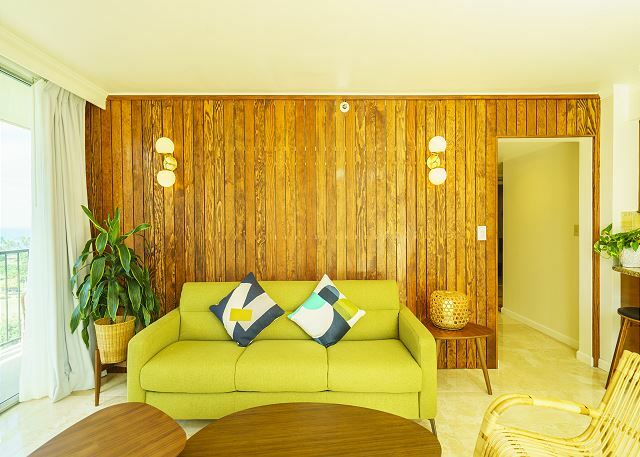 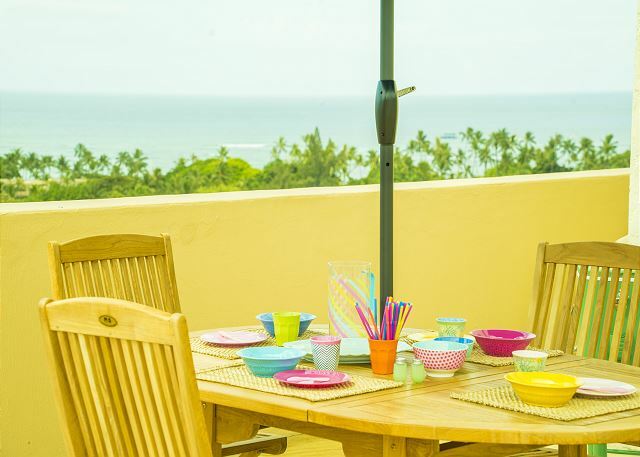 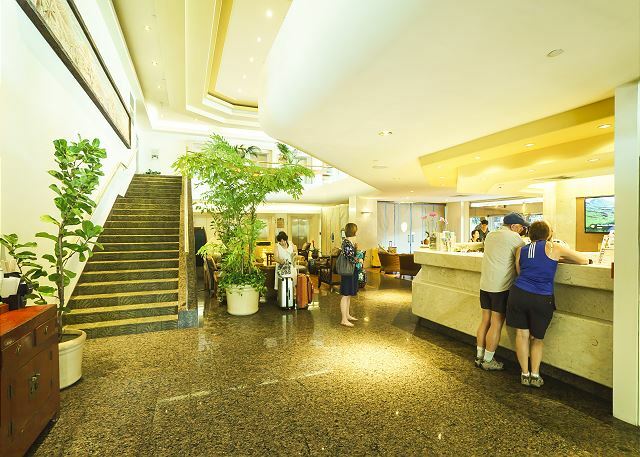 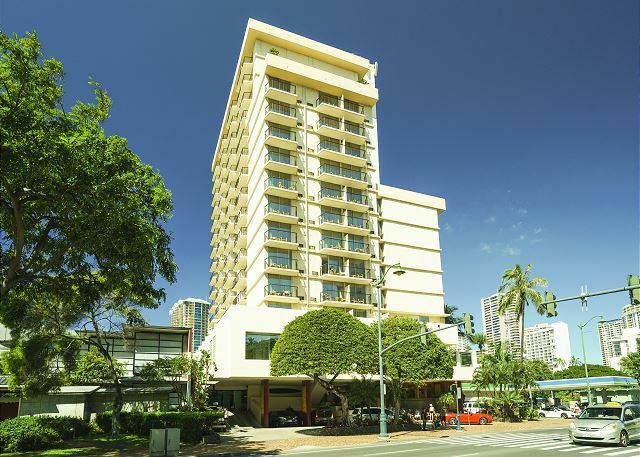 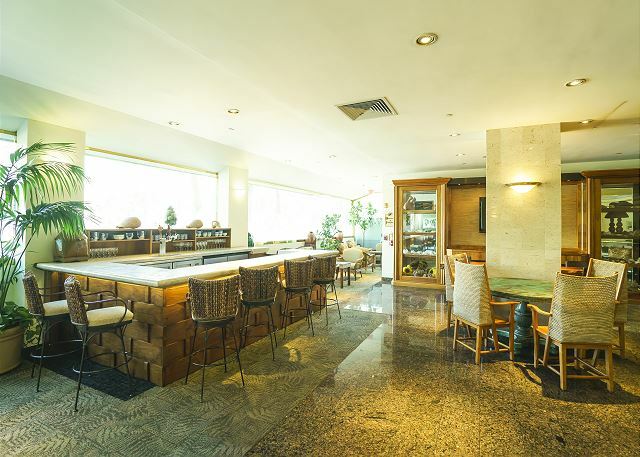 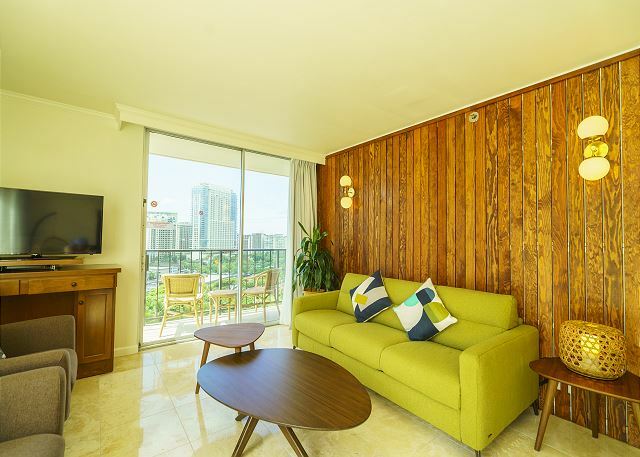 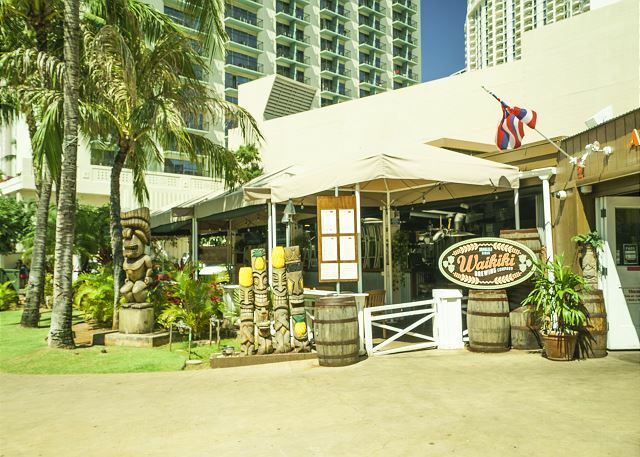 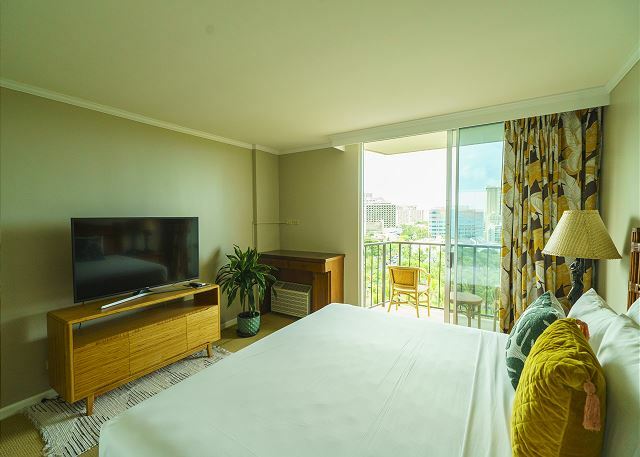 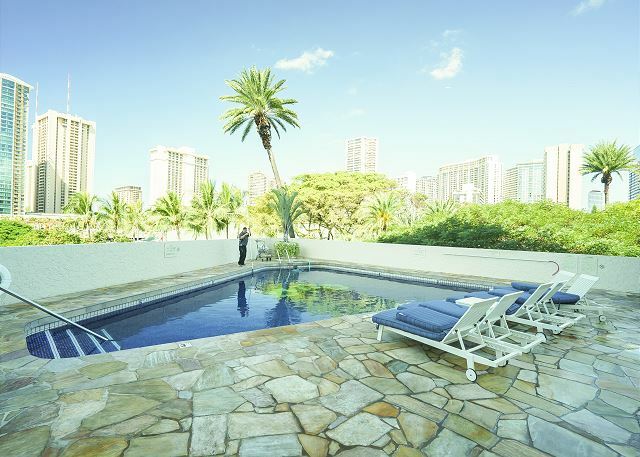 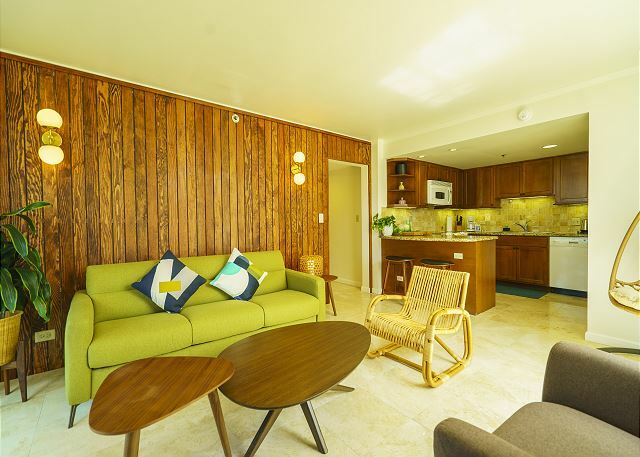 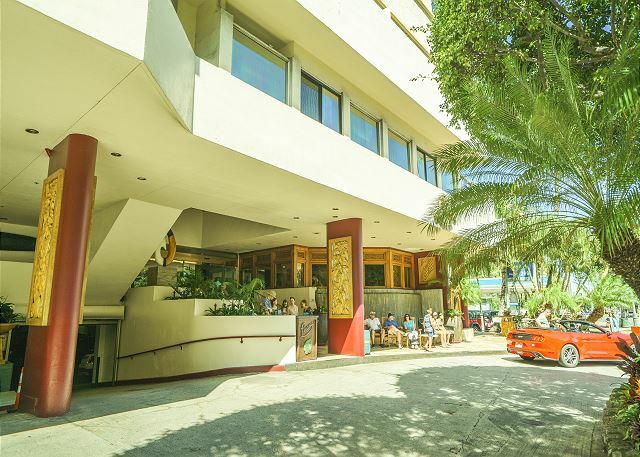 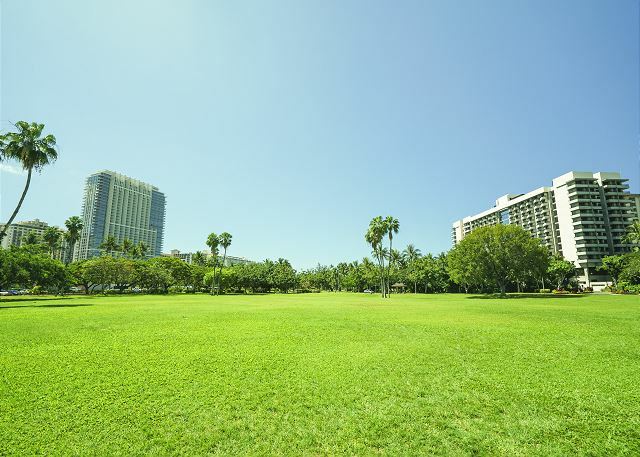 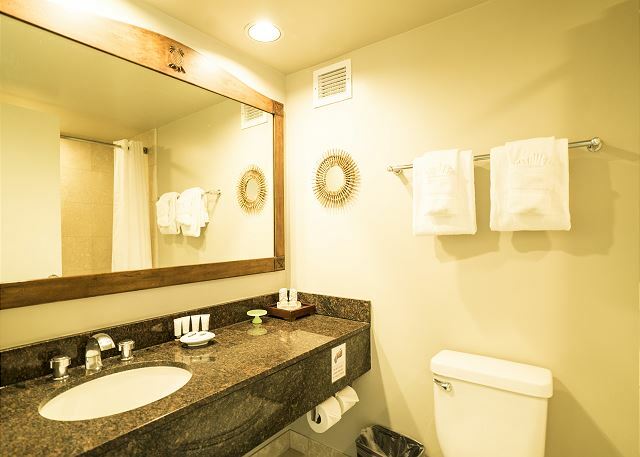 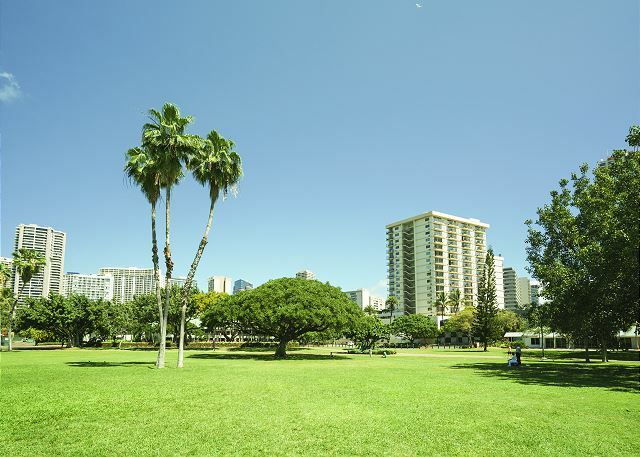 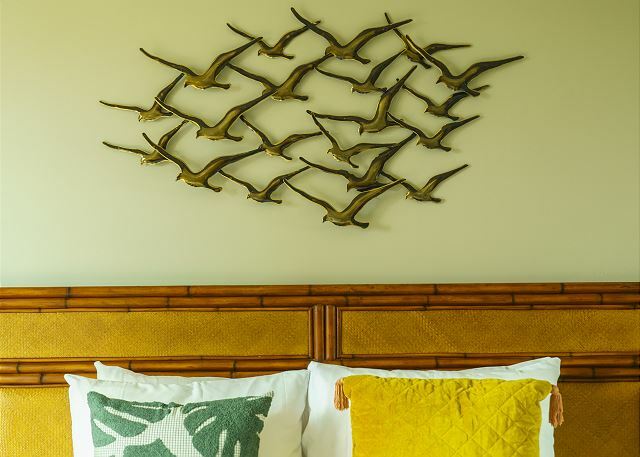 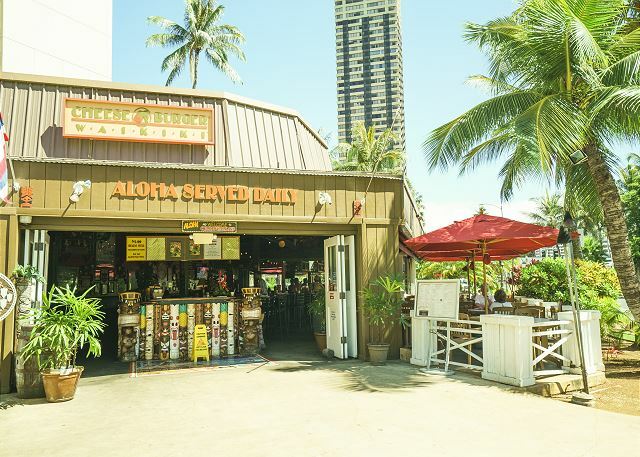 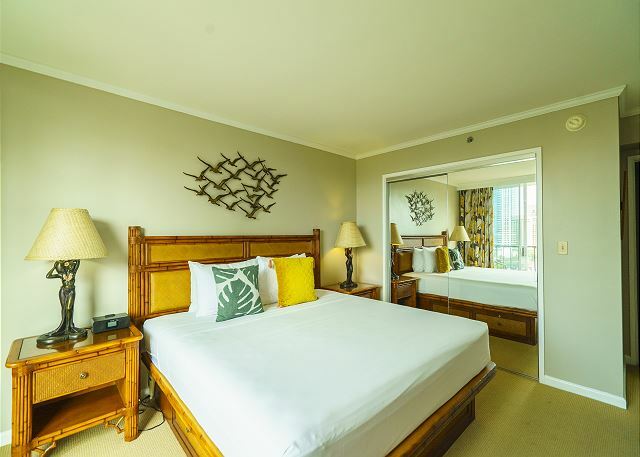 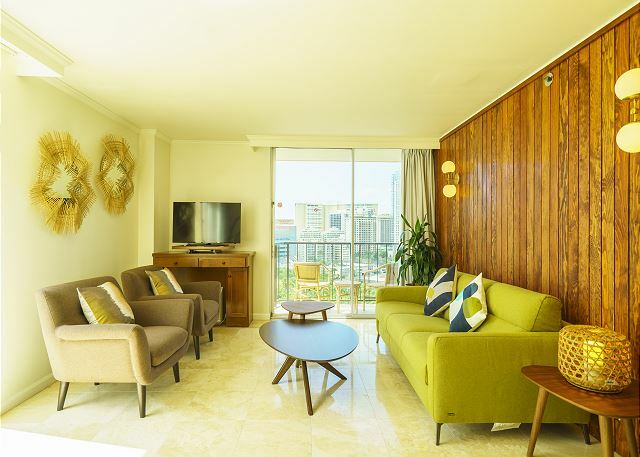 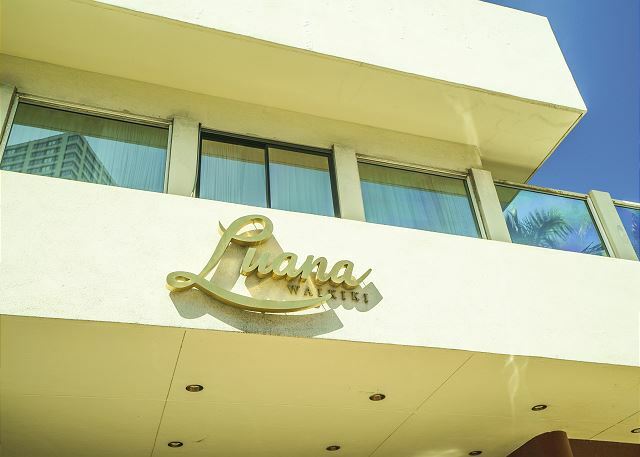 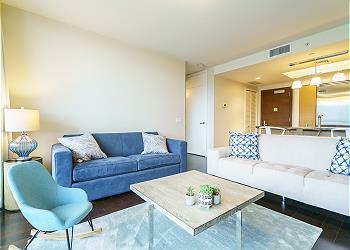 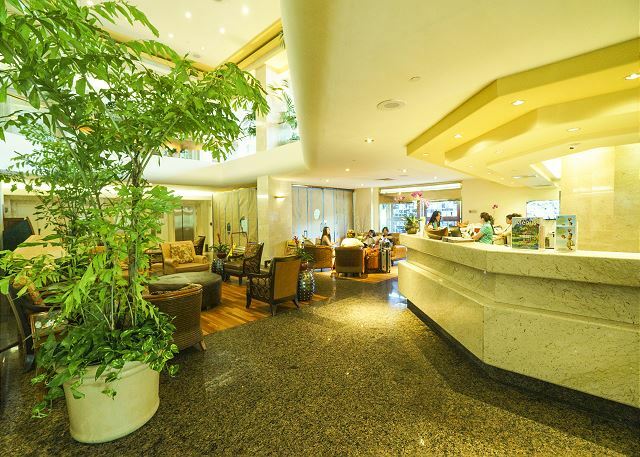 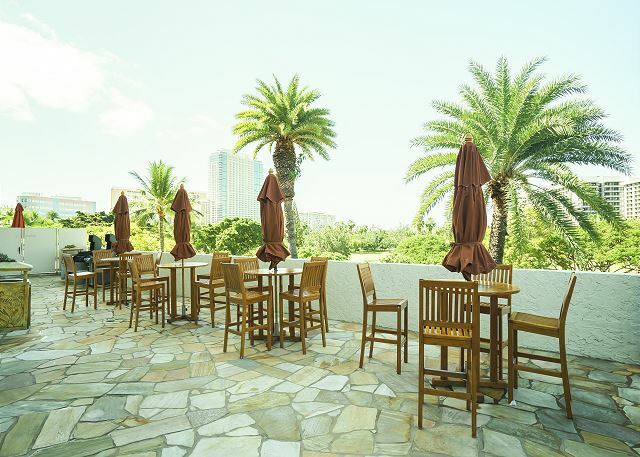 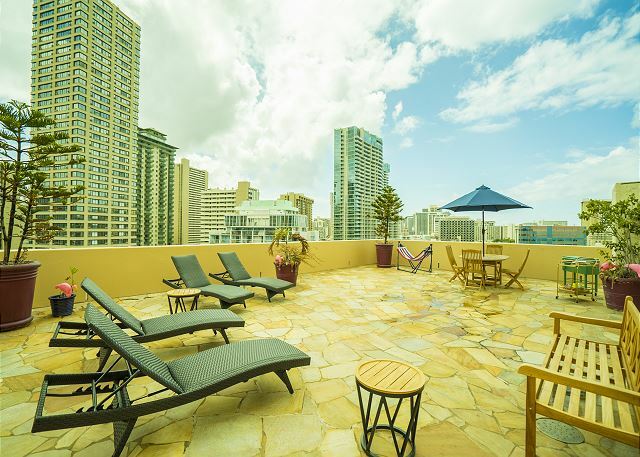 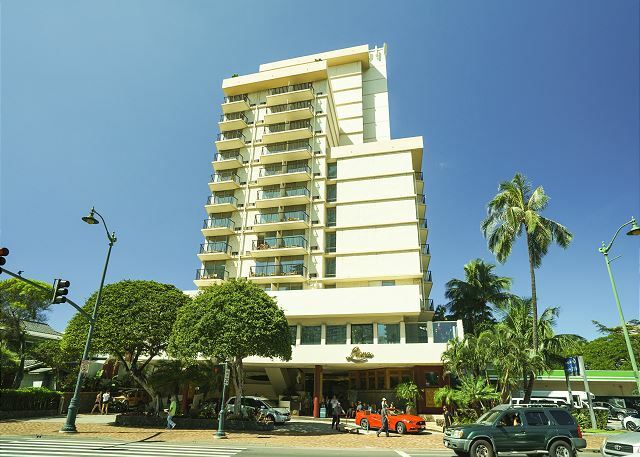 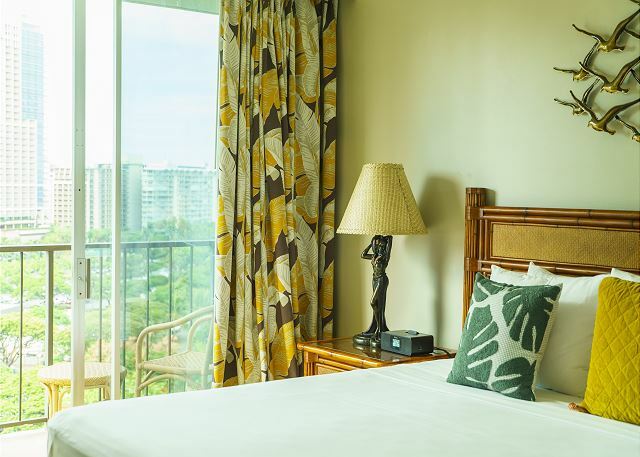 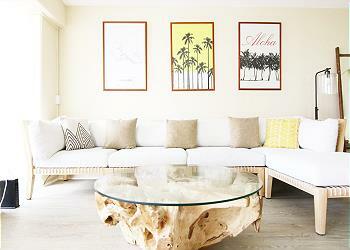 Luana Waikiki is located at 10 minutes walk from Waikiki Beach. 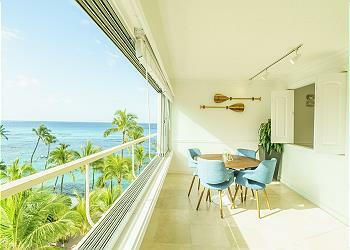 This room has private Patio. 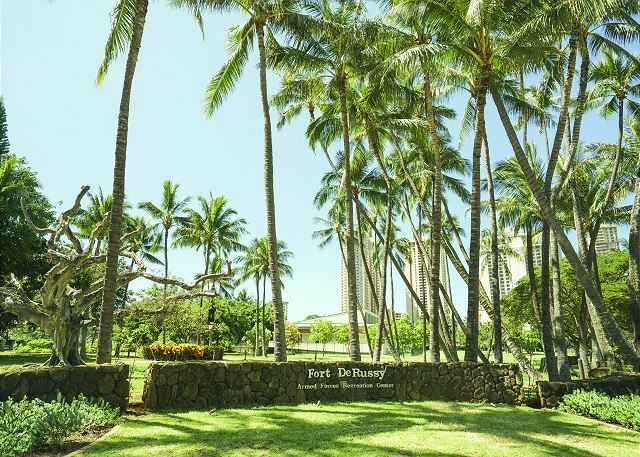 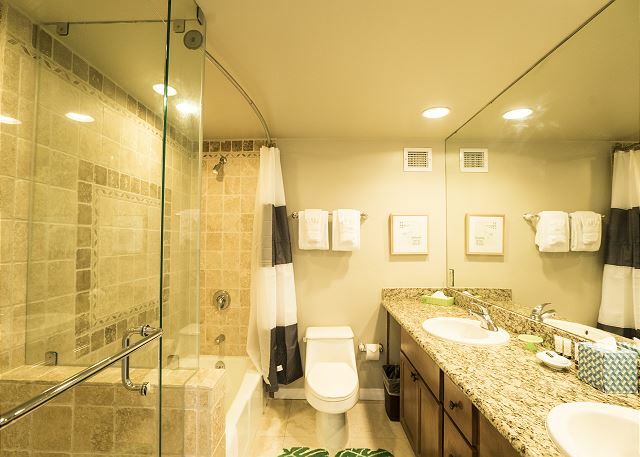 You can relax in your private space and you can see Fort DeRussy Park from this unit. 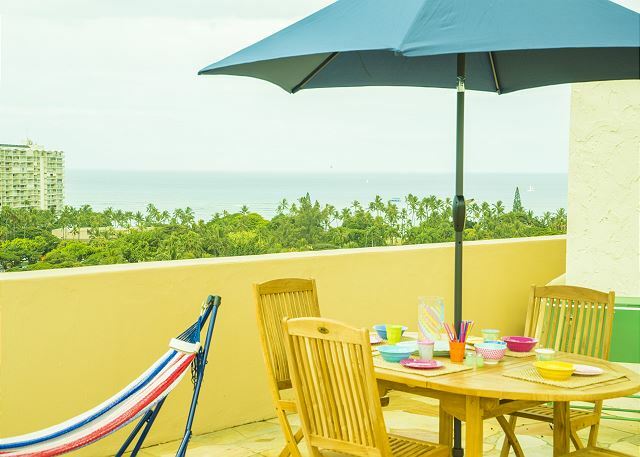 Beautiful views form Patio. 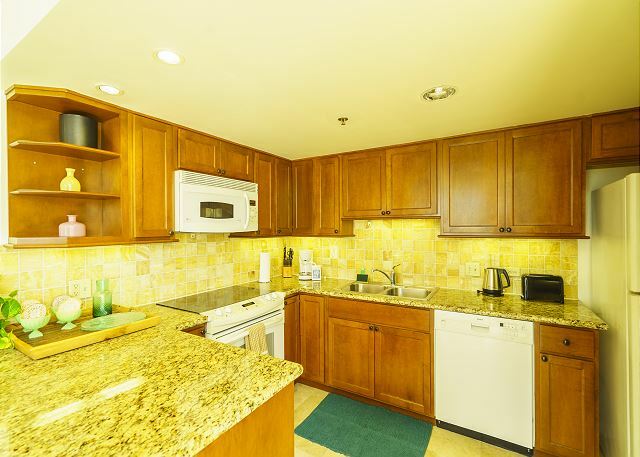 This unit has Full kitchen and kitchen amenities. 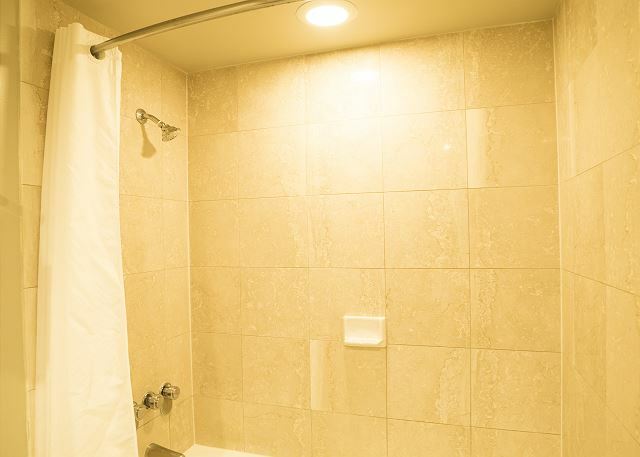 Washer and Dryer is inside the unit and covered one parking is included!! 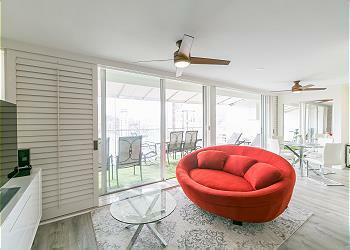 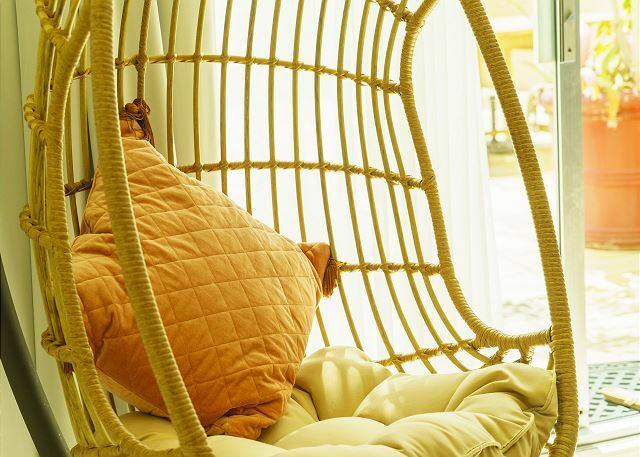 The lanai has full amenities 4 reclining seat, 4 wooden seat, 1 table, 1 long wooded table, and 1 hammock. 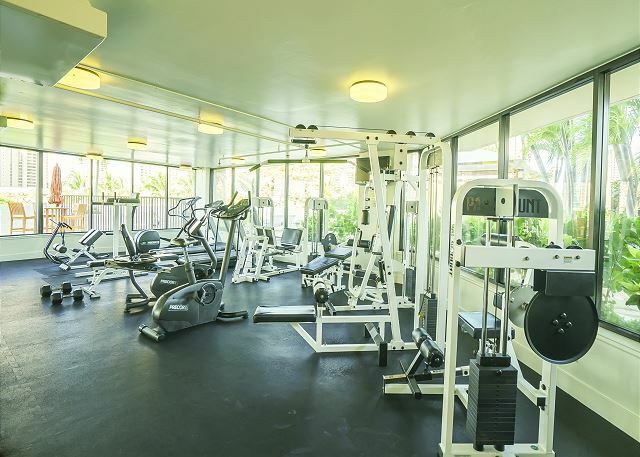 There are outdoor pool, fitness room.